She had claimed that Feud: Bette and Joan, about a famous feud between de Havilland's fellow screen legends Bette Davis and Joan Crawford damaged her reputation by portraying her as a gossip and hypocrite. The justices let stand a lower court ruling throwing out the lawsuit filed by de Havilland, a Hollywood star whose career began in the 1930s. Feud, which aired in 2017, explored the bad blood between Crawford and Davis in the later years of their lives. The miniseries was created by producer Ryan Murphy, known for the series American Horror Story and Glee. It was reported back in October that de Havilland was taking her feud with producer Ryan Murphy to the US Supreme Court. The actress claimed Murphy and FX Network never asked to use her name or likeness for their 2017 eight-episode series about legendary actresses Bette Davis and Joan Crawford, reported Deadline. Catherine Zeta-Jones portrayed the two-time Oscar winner, who was a friend of Davis and participated in a 1970s documentary on Crawford, in a recurring role. 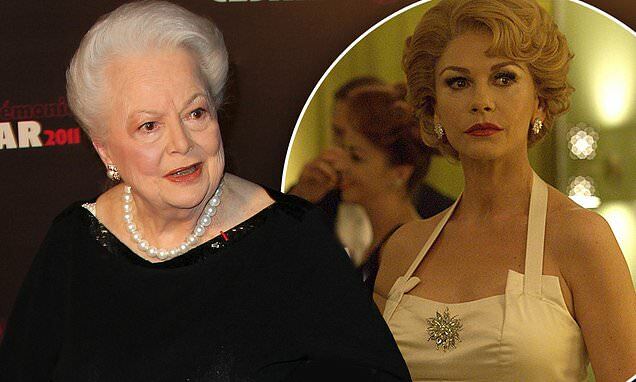 De Havilland filed her original lawsuit in June 2017 claiming that Zeta-Jones's portrayal of her as 'b***h' had damaged the actress's 'professional reputation for integrity, honesty, generosity, self-sacrifice and dignity'. In September 2017, Deadline reported that LA Superior Court Judge Holly Kendig had agreed to let de Havilland's case proceed to trial.